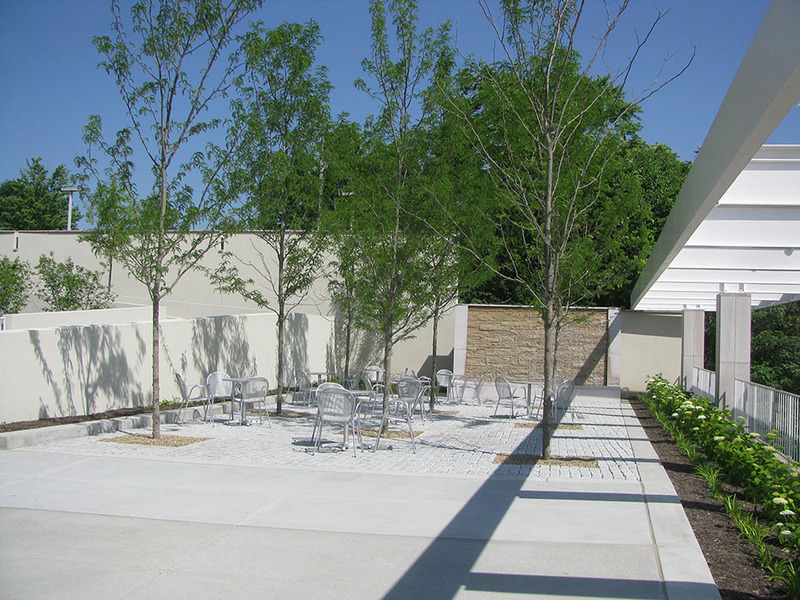 As part of the Knoxville Museum of Art’s continued growth, CRJA-IBI Group worked with the project architects to redesign the museum’s Entry Plaza and North Garden. Overlooking the site of the 1982 World’s Fair, the Knoxville Museum of Art (KMA) is prominently located in downtown Knoxville, TN. 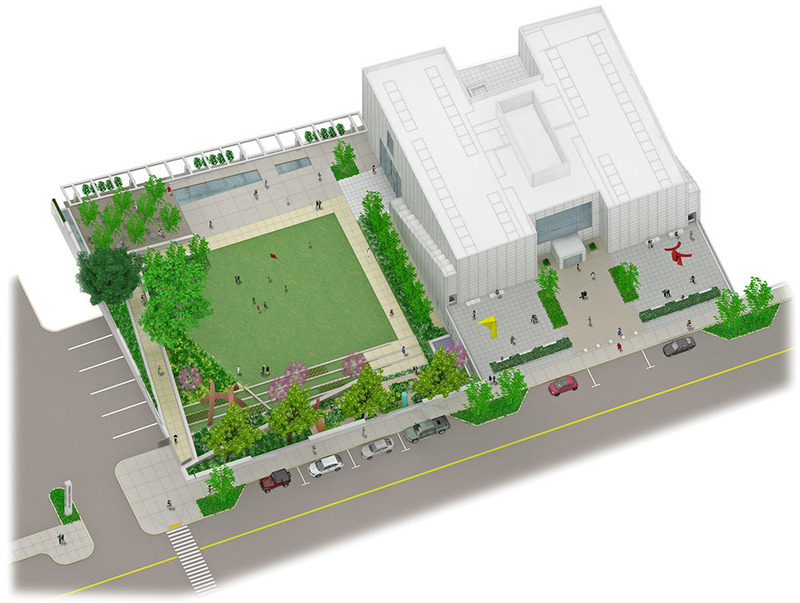 The primary museum entrance had little vegetation, worn hardscape and a lack of seating opportunities, rendering the Plaza as a less than ideal space for welcoming visitors. In order to create a sense of arrival, the new design breaks the Entry Plaza into three spaces through the use of customized large scale planters and subtle change in pavements. Two of the areas function as exhibit spaces while the third provides a linear entrance into the building. The North Garden is a half acre garden originally planned to hold public and private events. 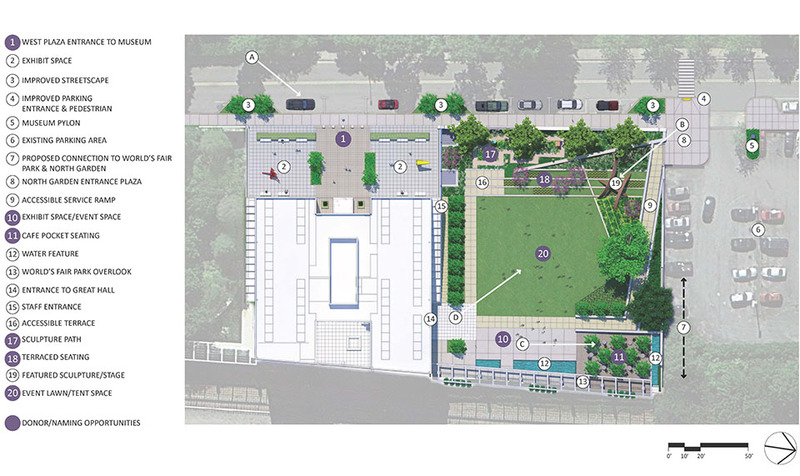 Unfortunately, the North Garden was never developed and remained open lawn space since the building’s construction. Responding to the original design intent, CRJA-IBI organized the space to accommodate a variety of outdoor tents able to house up to 450 people. 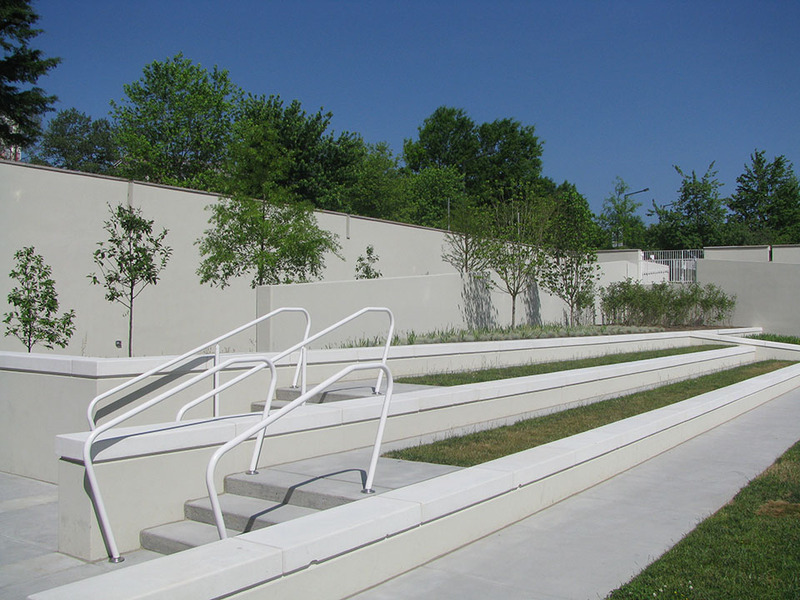 The design also includes opportunities for donor recognition such as a sculpture path, terraced and café pocket seating, and a small plaza facing the neighboring World’s Fair Park.